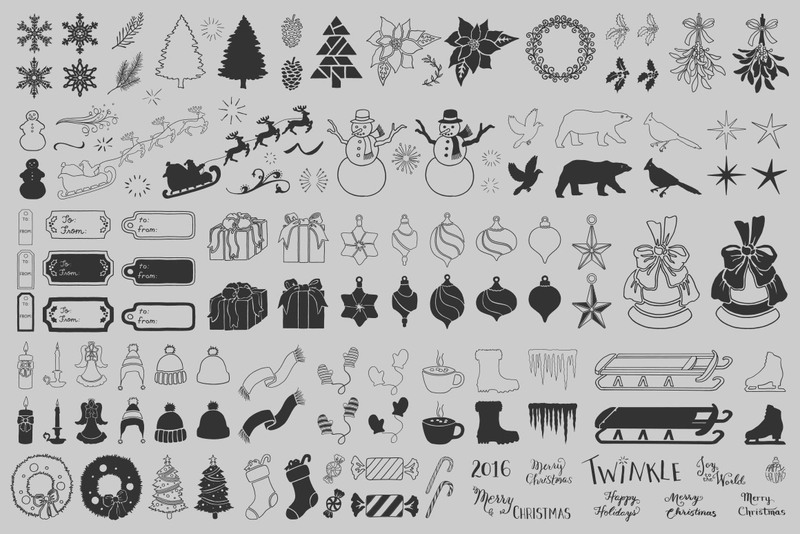 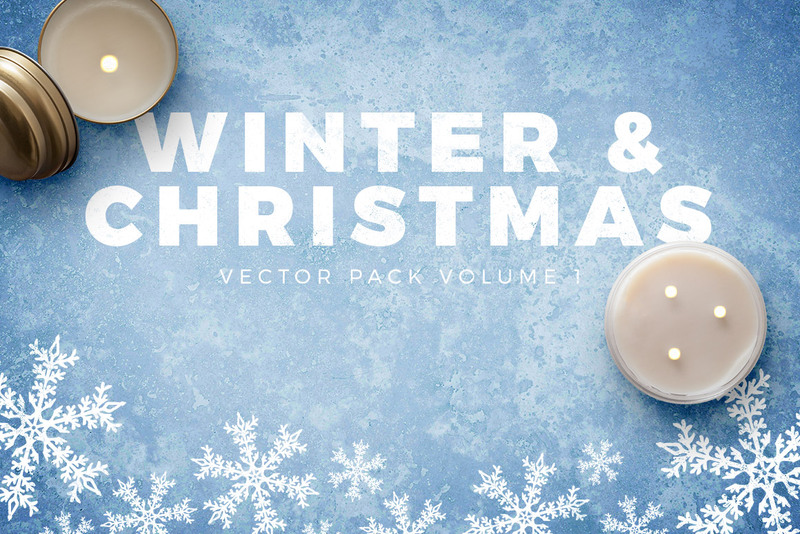 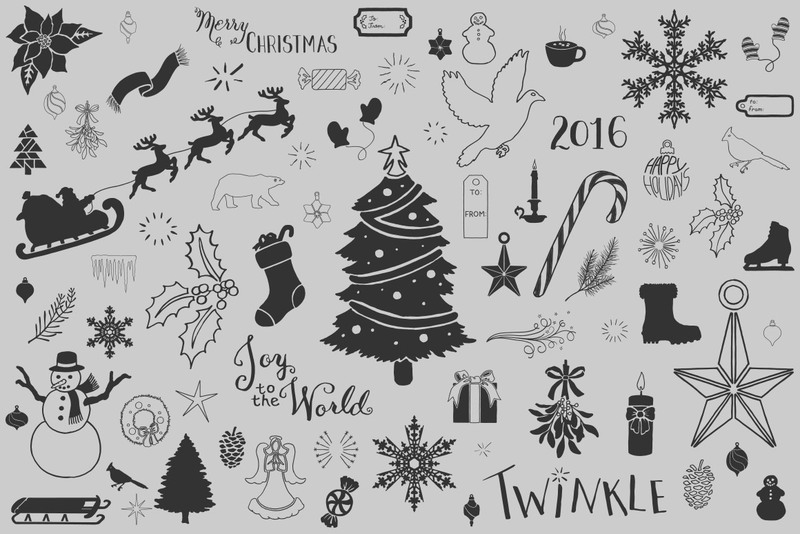 This seasonal vector set includes 120 total vectors. 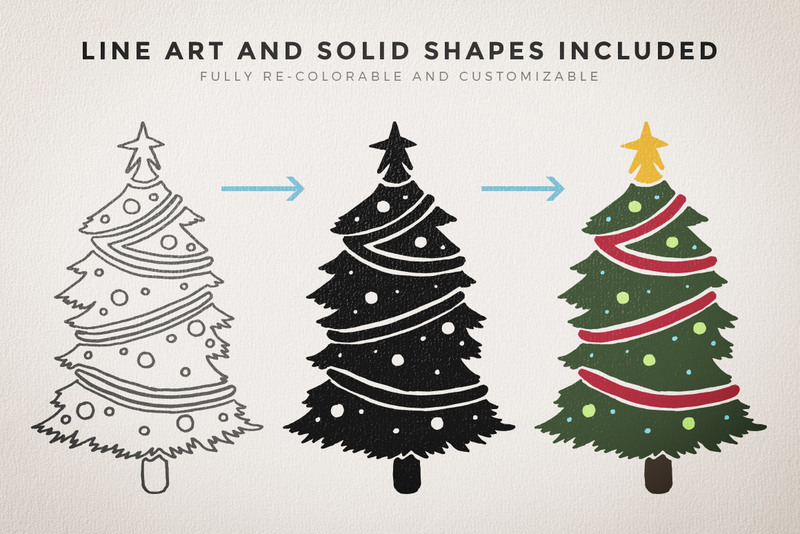 Solid shapes and original line art are both included so you can easily re-color and customize each design to get the perfect look. 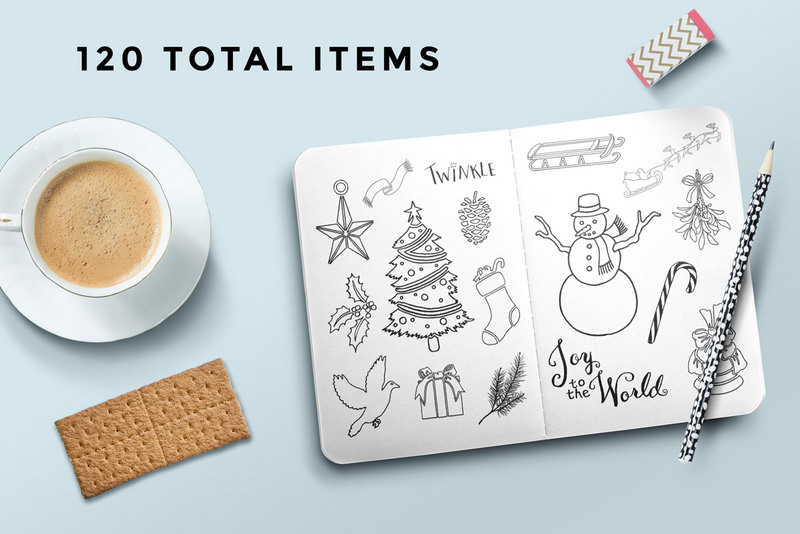 Inside you'll find Christmas trees, snowmen, candles, ornaments, starbursts, snowflakes, typography, and much more. 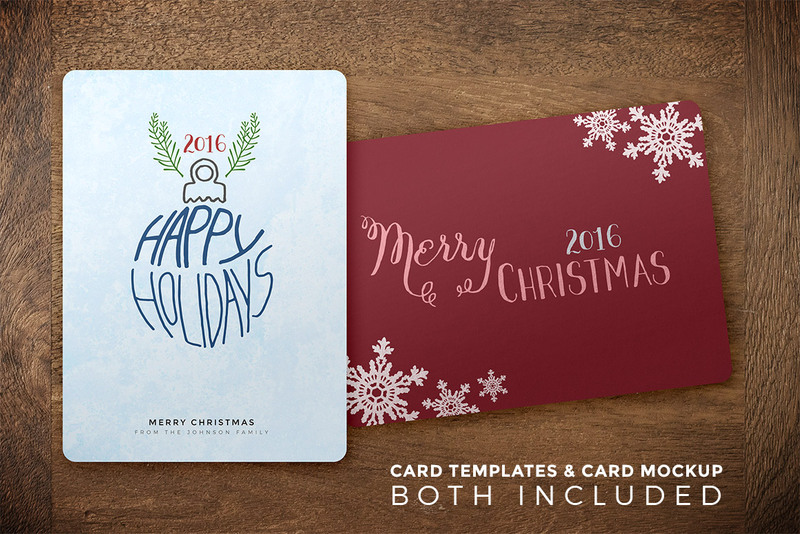 Also included are 2 premade Christmas card templates, and a card mockup template to help you show off your own designs.